For you wine travelers who’ve visited Napa Valley once or often in these past decades where California has become a wine mecca, the Stag’s Leap District is the de rigueur haunt for those hunting the best wines in the Valley. So hold that thought. Sitting by the beautiful sunlit patio at Spencer’s Restaurant in Palm Springs, Paolo Maximilliano, from the Palm Springs Wine Blog, and myself were treated to a wonderful wine tasting luncheon provided by Treasury Wine Estates, who have the famed Stags’ Leap Winery in their portfolio. And seated at our table was the esteemed winemaker and General Manager of Stags’ Leap, Christophe Paubert, along with his proud line-up of stellar wines situated around us. If you will, hold that scene in your mind. So let’s get the confusion out of the way quickly: Many of you already know that there are two “Stags Leap” venues, always at issue. There’s “Stags’ Leap” and then there is “Stag’s Leap!” Did you catch the difference? It’s where the apostrophe is placed! That was the remedy the California Supreme Court issued in the 1980s when both wineries sued for the right to use the name. These days, there is no angst between them, indeed, they’ve gone on to collaborate on a wine or two. Actually, we do have two distinct full names: there’s “Stags’ Leap Winery” and “Stag’s Leap Wine Cellars”. Like it or not, wine lovers refer to them both as “Stags Leap” in the spoken language, which again, adds to the confusion. Many times, wine lovers think they’re drinking one brand when they’re drinking the other! Both wineries make world class wine, but I find the Stags’ Leap Winery wines to be more earthy, powerful and elegant—especially bringing out the terroir of the Stags Leap AVA wine region. 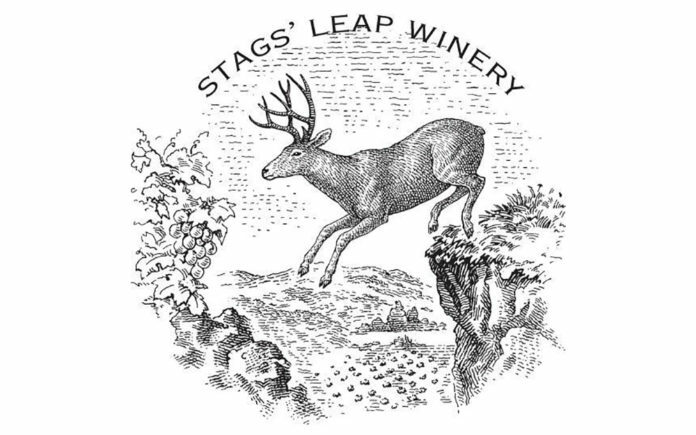 I have to say that Stags’ Leap’s original claim to fame was their Petite Sirah. Back in the day, it was one of my epiphany wines experiences and I’ve always been a devoted fan. Andre de Carteret is the wine and spirits manager at Spencer’s Restaurant, home to one of the most expansive wine lists in the desert. During the season, this venue hosts many winemaker dinners featuring world class wineries. It was great to meet Andre, but he was quite busy attending to his beverage programs and no doubt preparing for the restaurant’s next wine dinner event. I look forward to getting to know him better and perhaps covering an up-coming wine event—stay tuned. 2017 Stags’ Leap Napa Valley Chardonnay: This wine opens with a bouquet of delicate orange blossom, citrus fruits, and fresh white peach. It has the gravitas of a rich wine but is very crisp, refreshing and vibrant. It owns layers of lemon citrus, passion fruit, and guava, along with a great balance of vanilla and caramel oak notes with tasty acidity and minerality. It’s a dreamy Chard with complexity and depth and freshness all around! 2015 Stags’ Leap Napa Valley Cabernet Sauvignon: Simply taking in the aromas we could tell the wine is typically rich and complex with blackberry, cherry, dark plum, and nuances of violets, sweet cinnamon and clove spice. The palate shows dark berry fruits with blackberry, plum and cassis, along with notes of leather, tobacco and earth, giving this Cabernet a classic old-world feel and elegance with a spicy lengthy finish. Delish! 2015 Stags’ Leap The Investor Red Blend Napa Valley: I wasn’t savvy to this wine until I began my wine steward gig with Ralphs. I saw the label and I immediately lusted after it. What a treat to be sitting with the winemaker at my first go-round with The Investor. This wine, “beautifully blends together the unique flavors and expressions of Merlot, Petite Sirah, Cabernet Sauvignon and Malbec, The Merlot’s fresh with red berry aromatics, the Petite Sirah, adds concentration, tannins, spice and blueberry flavors. The Cabernet Sauvignon adds complexity and the Malbec’s vibrant floral aromatics heighten the blend’s freshness.” I ditto that! 2016 Stags’ Leap Petite Sirah Napa Valley: As I mentioned, this is one of my favorite wines ever—so again, what a treat for me to taste the new vintage with Monsieur Christophe at the table. The 2016 is made up of 79% Petite Sirah, 8% mixed Rhône varieties, 7% Grenache and 6% Syrah. As you’d expect, it’s deep purple-black and opens with notes of freshly crushed black cherries and black berries while catching notes of baking spices, plum preserves and that Petite Sirah tar. It’s a medium to full-bodied wine with that peppery black fruit finish we all love!—Cheers! Next articleA Miracle for Megan!